Data privacy notice for all CP clients, consultants and suppliers. CP is committed to protecting and respecting your privacy. To maintain contact and communication with you during the course of an ongoing project or for a potential or new project. Your personal data will be treated as strictly confidential and will NOT be shared with any third parties. Where necessary your personal details may need to be passed onto the design team for project contacts, which will NOT be done without your express permission. To exercise all relevant rights, queries or complaints please in the first instance contact the data processor who is the LAL Director Mr A J Corlett at the contact details below. 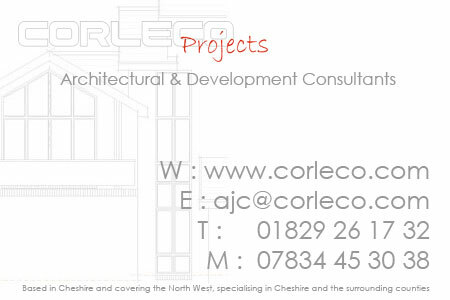 For and on behalf of Legend Aspect Limited t/a Corleco Projects.